Home Costs > How Much Do Hurricane Shutters Cost? 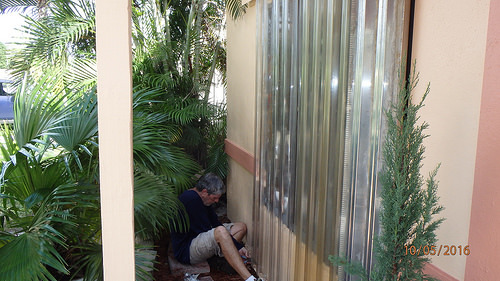 Hurricane shutters are designed to minimize rain and wind damage during a violent hurricane storm. These shutters can either be permanent or temporary protections on your windows and doors. Storm Panel Storm panel hurricane shutters are constructed of either aluminum, polycarbonate or steel and are only installed on the windows. When being installed, a steel channel will be bolted to the facade of the home, near the top and the bottom of the window. When not in use, these shutters can simply be unbolted and stored in a safe location. $8 to $15 each, depending on the size and the materials. NOTE: These are the prices for the materials only and won’t include the costs of professional installation. On average, if you were to hire a pro, plan on spending about $1 per total square foot. For example, if your 1,600 square foot home needed all of its windows installed with hurricane shutters, then be prepared to budget $1,600 for the install. As you can see, there are a lot of options, and the prices can range from as little as a few dollars if you were to do it yourself to well into the thousands if you wanted an aesthetically pleasing shutter. For this reason, we highly recommend using the free estimation tool, HomeAdvisor.com. Here, you simply explain your job and contractors in your area will contact you, for free, with a quote. Installing hurricane shutters can actually save you money with your insurance premiums, even though the upfront costs may be in the thousands. Since these shutters can keep your home safe in a dangerous situation and limit the damage, homeowner insurance companies may reduce your premium once you install them.